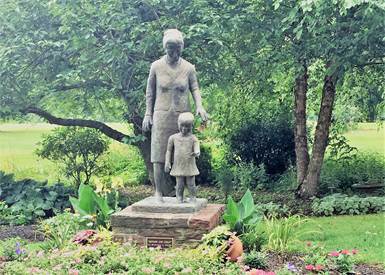 Pearl S. Buck’s 126th Birthday Party - Times Publishing Newspapers, Inc.
A party to celebrate Pearl S. Buck’s 126th birthday will be held at the beautiful Pearl S. Buck National Historic Landmark site. Visitors will enjoy complimentary birthday cake; music performed on Ms. Buck’s organ and piano; a Chinese brush painting demo and exhibit; a rededication of the Mother and Child statue; and the reveal of two new library boxes. Pearl S. Buck’s Birthday Party is an event produced by the Pearl S. Buck Volunteer Association. For information about the Pearl S. Buck Volunteer Association go to www.pearlsbuck.org/volunteer/.